The Federal Reserve's December Beige Book is out. The report on U.S. business conditions based on anecdotal data characterized economic growth as "modest to moderate," as it did in October.
" Hiring showed a modest increase or was unchanged across Districts," reads the text of the report. "Difficulty with finding qualified workers, especially for high-skilled positions, was frequently reported. Upward pressure on wages and overall price inflation were contained. Contacts in many Districts voiced concern about future cost increases attributable to the Affordable Care Act and other types of federal regulation." Hiring showed a modest increase in the Philadelphia, Richmond, St. Louis, Minneapolis, and Dallas Districts, while hiring in the remaining Districts was largely unchanged. Industries that reported moderate employment growth included construction, software and IT services, manufacturing, and healthcare. Temporary holiday hiring is in progress. Cleveland reported that year-over-year growth in retail holiday hiring is expected to be flat; however, some employers noted that they are having difficulty finding seasonal workers. In Chicago, part-time seasonal hiring is slightly lower than normal as a result of retailers' choosing to increase current employees' hours instead of hiring new workers. Some employers in the Philadelphia, Cleveland, Richmond, Atlanta, Kansas City, and Dallas Districts reported having difficulty finding qualified workers for certain permanent, high-skilled positions. In Philadelphia, a builder reported that contractors are reluctant to hire workers who require training. Instead, contractors are aggressively hiring skilled labor from each other. On net, staffing services across Districts remain more optimistic than they were three months ago, expecting steady growth through the end of the year and into 2014. Summary of Commentary on Current Economic Conditions by Federal Reserve District Prepared at the Federal Reserve Bank of Cleveland and based on information collected on or before November 22, 2013. This document summarizes comments received from business and other contacts outside the Federal Reserve and is not a commentary on the views of Federal Reserve officials. 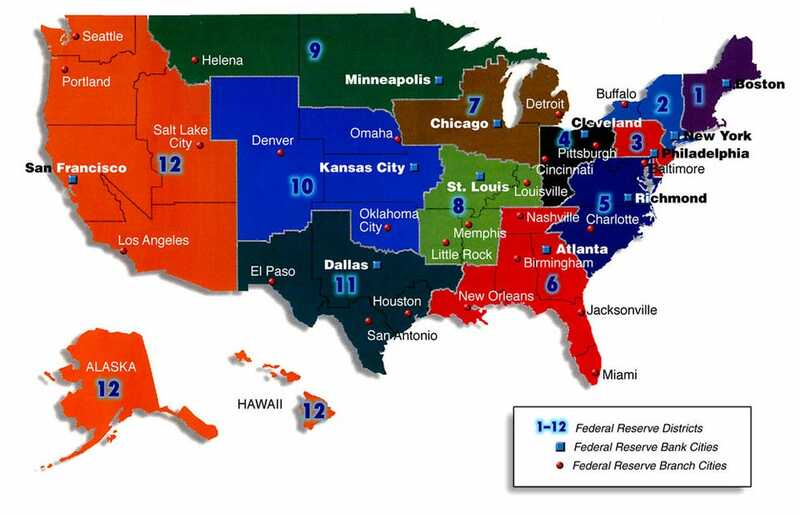 Reports from the twelve Federal Reserve Districts indicated that the economy continued to expand at a modest to moderate pace from early October through mid-November. Activity in the New York, Cleveland, Richmond, Atlanta, St. Louis, Minneapolis, and Dallas Districts grew at a moderate pace, while Philadelphia, Chicago, Kansas City, and San Francisco cited modest growth. Boston reported that economic activity continued to expand. Manufacturing activity continued to expand in most Districts, with gains noted in the motor-vehicle and high-technology industries. Manufacturers in many Districts expressed optimism about near-term growth prospects. Demand for professional business services experienced stable to moderate growth, especially in computer technologies. Freight volume showed signs of strengthening. Reports on retail spending were positive. Looking forward to the holiday shopping season, retailers reported being hopeful, but cautious. Sales of new motor vehicles were reported as moderate to strong across much of the United States. Tourism increased in most reporting Districts, although the federal government shutdown had a negative impact in some areas. Residential real estate activity improved across many Districts, with multifamily construction experiencing moderate to strong growth. Some slowing in single-family home sales was attributed to seasonal factors. Activity in nonresidential real estate was stable or improved slightly across many Districts. Agricultural conditions were generally favorable. Mining activity was mixed, while natural gas production increased. Banking conditions were largely stable, with some improvement seen in loan demand. Several Districts reported an easing of lending standards. Hiring showed a modest increase or was unchanged across Districts. Difficulty with finding qualified workers, especially for high-skilled positions, was frequently reported. Upward pressure on wages and overall price inflation were contained. Contacts in many Districts voiced concern about future cost increases attributable to the Affordable Care Act and other types of federal regulation. Manufacturing activity expanded at a modest to moderate pace in most Districts during the reporting period. Firms in Philadelphia and Cleveland are beginning to take a more conservative stance toward capital spending, while capital outlays remain solid in Boston and Kansas City. Companies across a number of sectors in Philadelphia noted a reduction in activity due to the federal government shutdown, while defense contractors in Boston reported that sequestration has not yet affected them significantly. Chicago highlighted the motor-vehicle industry as a main source of strength due to a large number of new vehicle launches and increasing demand for medium- and heavy-duty trucks. Cleveland and St. Louis also reported increased motor-vehicle production. Steel producers in Dallas and San Francisco indicated that demand was steady, while producers in Cleveland and Chicago experienced a slight drop-off in production, even though they are beginning to see a reduction in the quantity of steel imports. San Francisco noted an increase in demand for semiconductors driven by demand for mobile-technology products, while the aerospace industry in the Pacific Northwest reported a large backlog of orders for commercial aircraft. High-tech manufacturing firms in the Dallas District said that demand was flat to modestly weaker; however, respondents expect a gradual increase in demand over the next three to six months. In Kansas City, sales among high-tech firms moderated but were positive overall; several firms cited a reduction in government contracts due to sequestration as the main cause for the slowing. Wood-product manufacturers in Minneapolis and San Francisco saw an improvement in business activity. Contacts in the Boston, New York, Philadelphia, Chicago, Minneapolis, and Kansas City Districts expressed varying degrees of optimism about near-term business activity. Nonetheless, some contacts in Cleveland and Chicago observed that heightened levels of uncertainty, driven in part by fiscal issues, could dampen demand. Demand for nonfinancial services was stable or grew at a moderate pace across most reporting Districts. Boston and San Francisco noted that demand for software and information technology (IT) services was strong. IT contacts in Boston have grown more optimistic and are expecting continued growth into 2014. The Richmond District noted growth in server farms. Dallas reported that multiple service sectors, including accounting, legal, and intellectual property, were experiencing stable to improving demand. Most of the Districts that commented on the partial shutdown of the federal government said that its impact on service providers was modest or temporary. The Dallas District reported that airline activity is mixed but has increased since the cessation of the shutdown; however, seasonal factors were also noted. Concerns linger in Dallas about the upcoming second round of sequestration cuts. Transportation and freight services, especially those related to railroads, ports, and trucking, strengthened across Districts. Port activity in Richmond was robust, with exports of containerized grain and imports of housing-related products continuing to grow. Imports and exports of autos and auto parts remained strong. Year-to-date shipping volumes were higher in Cleveland when compared to the same time period in 2012. Freight haulers were hiring for both replacement and capacity expansion. Retail and e-commerce activity in Dallas continued to drive growth in the transportation sector. Logistics contacts in Atlanta were forecasting record volumes during the holiday season due to online sales. Consumer spending increased in almost all Districts at a modest to moderate pace. A Boston retailer noted that sales performance during the 2013 holiday season will be a better test of what seems to be an improving trend. Philadelphia retailers reported hopeful, but very uncertain expectations for the holiday season, while retailer expectations in the Atlanta District for the holiday season are only mildly optimistic. Stores in Minneapolis and Kansas City are cautiously optimistic about the buying mood of holiday shoppers. Demand for home furnishings was strongest in Boston, Richmond, Chicago, and Kansas City. Apparel sales were strong in the Boston, Cleveland, and Kansas City Districts. Retailers in Boston, New York, Cleveland, and Dallas indicated that their store inventories are at desired levels. Sales of new motor vehicles continued at a moderate to strong pace across most Districts, although Dallas reported a slight decline, which was attributed to a lack of consumer confidence and continued uncertainty. Motor-vehicle purchases in Kansas City were flat. Dealers in Cleveland and St. Louis saw a pick up in purchases of SUVs and cross-over vehicles. Chicago indicated that lower gasoline prices were motivating buyers to shift away from more fuel-efficient vehicles. Used-car sales were mixed, with Cleveland and St. Louis reporting an increase, while purchases in the New York District were soft. Reports on tourism varied. Due to the federal government shutdown, tourist destinations in the Boston, Richmond, and Minneapolis Districts experienced lower traffic. In Philadelphia, some super-storm Sandy-affected areas of the New Jersey shore continued to experience lighter traffic than normal. Boston reported that tourism activity at hotels and restaurants exceeded usual expectations due to additional business brought in by the World Series. New York reported strong tourism activity attributed in part to Broadway performance openings. Cold-weather expectations have boosted ski bookings in Richmond. Contacts there noted that the strength in bookings has allowed them to raise rates for the first time in several years. Atlanta and Minneapolis reported that tourism expanded. In the San Francisco District, Hawaii maintained its solid pace of growth. In contrast, Las Vegas tourism remained relatively weak, and contacts pointed to a moderate year-over-year decline in automobile traffic in the region. Residential real estate activity improved in Boston, Philadelphia, Chicago, St. Louis, Minneapolis, and San Francisco, while remaining steady or softening in other Districts. Some slowing in single-family home sales was attributed to seasonal factors. Nonetheless, sales remain largely above year-ago levels. Increasing demand, low to declining levels of inventory, and slowly rising new-home construction were cited by almost all Districts as reasons for a continued rise in home prices, but at a slower pace than was observed earlier in 2013. Historically low inventories of unsold homes were reported in Philadelphia, Richmond, Chicago, Kansas City, and Dallas. Chicago noted that the inventory of homes for sale is at a record low. In the Philadelphia, Cleveland, Kansas City, and San Francisco Districts, builders continued to face a scarcity of high-skilled trade workers. Boston, New York, Philadelphia, Cleveland, Richmond, and Chicago indicated that multifamily construction continued to experience moderate to strong growth, with strength concentrated in the apartment segment. Vacancy rates declined across most Districts. Commercial real estate activity remained stable or improved slightly across many Districts. Philadelphia, Cleveland, Richmond, Chicago, St. Louis, and Minneapolis all saw gains in industrial construction, while Boston, Chicago, and St. Louis cited a rise in hotel construction. The technology sector drove demand for commercial real estate in the San Francisco District, and Cleveland saw gains in affordable housing and shale-gas-related activity. The outlook of market participants is for continued improvement in the Philadelphia, Atlanta, Kansas City, and Dallas Districts, while contacts were cautiously optimistic in Boston and Cleveland. On balance, banking conditions remained stable in a majority of reporting Districts. Loan volume showed a modest increase in Philadelphia, Chicago, and San Francisco, while Boston and Atlanta reported a moderate rise. Dallas noted that loan demand softened across most lines of business during the reporting period. An increase in business-credit activity was seen in a number of Districts. Commercial real estate lending increased in New York, Cleveland, Atlanta, Chicago, Kansas City, and San Francisco. Demand for commercial and industrial (C&I) loans rose in the New York, Atlanta, and Kansas City Districts, but weakened in St. Louis. C&I lending was unchanged in Chicago. In the Philadelphia, Richmond, Atlanta, Chicago, and San Francisco Districts, some bankers eased lending standards in response to aggressive competition for quality loans. Lending standards remained unchanged across loan categories in New York, Cleveland, St Louis, and Kansas City. Consumer borrowing weakened in a few Districts, including New York, Richmond, and St. Louis. In Cleveland, Kansas City, and Dallas, demand for consumer loans was little changed, while it increased in Chicago. Lower residential mortgage activity was reported in many Districts. Bankers in Cleveland, Richmond, and Atlanta attributed the decline in part to higher interest rates than earlier in the year. New York, Atlanta, Chicago, and Dallas reported declines in refinancing activity as well. Several Districts reported increased credit quality, as delinquencies have continued to decline and fewer problem loans have been reported. Strong crop yields were reported, while in general, agricultural commodity prices fell and drought conditions stabilized or improved. Richmond, Chicago, and Kansas City reported strong crop yields for fall harvests. Contacts in the Kansas City District noted decreases in farm incomes and increases in the demand for farm operating loans, as prices softened in response to rising yields. The Chicago, Kansas City, Dallas, and San Francisco Districts indicated strong demand and increased profitability in livestock due to lower feed costs. Atlanta contacts reported making investments in various types of agricultural equipment as a means to further improve production and contain costs. Prices paid to farmers for wheat, corn, and soybeans fell in Atlanta, Chicago, and Minneapolis. However, in Chicago, higher exports cushioned the decline. The Kansas City District indicated rising farmland values, although the rate of increase slowed. Reports indicated a continued expansion in energy demand and production. Coal mining activity was mixed across the Cleveland and Richmond Districts and higher in St. Louis. In Cleveland and Richmond, the completion of pipeline connections and gas-processing plants contributed to an increase in natural gas drilling and extraction, while gas production rose in the Minneapolis, Dallas, and San Francisco Districts. San Francisco noted an increase in wind and solar energy production facilities. In Minneapolis, regulatory approval has been obtained for a large wind farm in North Dakota. The Minneapolis District also reported solid mining activity in precious metals and an increase in iron ore production, while oil and gas exploration was flat or fell slightly. Hiring showed a modest increase in the Philadelphia, Richmond, St. Louis, Minneapolis, and Dallas Districts, while hiring in the remaining Districts was largely unchanged. Industries that reported moderate employment growth included construction, software and IT services, manufacturing, and healthcare. Temporary holiday hiring is in progress. Cleveland reported that year-over-year growth in retail holiday hiring is expected to be flat; however, some employers noted that they are having difficulty finding seasonal workers. In Chicago, part-time seasonal hiring is slightly lower than normal as a result of retailers' choosing to increase current employees' hours instead of hiring new workers. Some employers in the Philadelphia, Cleveland, Richmond, Atlanta, Kansas City, and Dallas Districts reported having difficulty finding qualified workers for certain permanent, high-skilled positions. In Philadelphia, a builder reported that contractors are reluctant to hire workers who require training. Instead, contractors are aggressively hiring skilled labor from each other. On net, staffing services across Districts remain more optimistic than they were three months ago, expecting steady growth through the end of the year and into 2014. Overall wage pressures remain contained across most Districts, with a modest increase reported in Boston, New York, and Dallas. Contacts in the Cleveland, Atlanta, Kansas City, Dallas, and San Francisco Districts noted some upward pressure on wages for skilled jobs, such as craft labor, engineering, IT, and accounting. Contacts in California's restaurant industry projected higher labor costs, as the state's minimum wage increases take hold over the next few years. Builders in the Philadelphia and Cleveland Districts cited a scarcity of high-skilled trade workers. As a result, there is upward pressure on wages, and subcontractors are demanding and getting higher rates. Price inflation is contained, with phrases such as "minimal," "no change," and "stable" being common across most Districts. However, in New York, service-sector firms reported that price pressure was moderate and that a sizable number of firms were planning at least some price increases in the coming months. The Cleveland, Kansas City, and San Francisco Districts also commented that prices for residential construction materials, such as lumber and drywall, continued to rise, but the Cleveland District noted that the rate of increase has recently slowed. Contacts across many Districts continue to voice concerns about future cost increases attributable to the Affordable Care Act and other types of federal regulation. First District--Boston Economic activity continues to expand in the First District. Most respondents in manufacturing, retail and tourism, software and IT services, and the staffing industry report year-over-year increases in revenue, while both residential and commercial real estate contacts indicate that market conditions continue to improve. Most firms are holding headcounts level; wages are steady or increasing modestly. Upward price pressures remain minimal. Many firms are cautiously optimistic about the outlook, a more upbeat tally than in the October round of calls. This round's retail contacts report year-over-year comp store sales increases between 7 percent and 25 percent, with one firm down 3 percent. Demand continues to be strong for apparel, home furnishings, and furniture. Inventories are well managed and prices remain steady. Compared to earlier rounds this year, sentiment is a bit more optimistic, or as one source opines, conditions "will not get any worse." Another respondent notes that the first two weeks of November showed some real underlying strength, but also states that sales performance during the 2013 holiday season will be a better test of what seems to be an improving trend. About one-third of contacts have raised their expectations for overall 2013 sales in light of their third quarter results. October was particularly good for Boston hotel and restaurant activity, exceeding the usual expectations for this traditionally busiest month, on account of the additional business brought in by the World Series appearance of the Red Sox. Hotel revenues were up 7.5 percent year-over-year, supported by an increase in occupancy rates. Transportation services also benefitted from higher-than-usual demand. Some New England tourist attractions suffered from the government shutdown, notably those run by the National Park Service or the Navy (U.S.S. Constitution) and the private firms depending on their visitors. Museums and other attractions continue to experience declining attendance; their revenues are down 6 percent year-over-year. Only one of the ten firms contacted this cycle reports falling sales. A plastics firm indicates that its core bulk chemical business is slowing--"coming in for a landing"--and its retail garden hose business is "the worst in memory." Two contacts report that sales growth is flat. The first is a computer software firm that largely serves the defense industry; the second is a manufacturer of electrical distribution equipment for whom strong residential demand is being offset by very weak non-residential. A firm that makes tools for home improvement reports that sales are up, but less than they had expected. Defense firms continue to say that sequestration has not yet affected them significantly. All manufacturing respondents report it is difficult or impossible to raise their product prices. A contact in the bulk chemical business said input prices are falling, which he sees as evidence that "no one in the industry is buying." A commercial aircraft parts manufacturer says that major firms in the industry are trying to drive costs down and, among other things, forcing more and more subcontracting. None of our contacts reports staff cuts, but only four indicate they are increasing staff. The home improvement equipment firm reports they are bringing 250 jobs back to the United States from China and Mexico. A semiconductor equipment firm plans to hire only contract workers. One contact says the Affordable Care Act is significantly increasing health care costs for his firm. Most First District respondents continue trying to keep inventories low. Firms that increased inventory mostly say they are doing so in anticipation of higher sales. By exception, the hose manufacturer cites massive inventory accumulation due to low demand. Two contacts report lower capital spending while the rest cite either no change or an increase since the last conversation. One firm reducing investment did so because a major project was completed. A manufacturer of electrical distribution devices says the only thing holding back investment is a shortage of "talent" to execute new projects. First District manufacturers are mostly optimistic, but guardedly so. The bulk chemical business contact says the slowdown in his industry is serious but not long-term. Firms with substantial exposure to defense are unwilling to make any forecasts due to uncertainty about the budget process. New England software and information technology services contacts generally report stronger-than-expected business activity through November, with modest improvements in both revenues and earnings since August 2013. Contacts attribute this growth to factors ranging from increased consumer demand to improved execution at the firm level. Most contacts expect to report positive year-over-year earnings growth at the end of 2013. By contrast, a healthcare contact reports negative growth due to the expiration of federal stimulus funding for health records software; however, this decline is much smaller than expected. While one firm shed some jobs, most firms either maintained headcounts or slightly increased their hiring pace. Wages have been steady, with plans for merit increases at the end of this quarter in the 3 percent to 5 percent range. Both selling prices and capital and technology spending have gone largely unchanged in recent months. Looking forward, New England software and IT contacts are more optimistic than they were in August, expecting continued growth through the first quarter of 2014. New England staffing contacts generally report strengthened business conditions through November, with low-double-digit quarter-over-quarter revenue growth, and year-over-year revenue growth in the 3 percent to 10 percent range. This uptick reportedly reflects both an improved macroeconomic climate and changes in firms' business development strategies. Only one staffing contact reports softer results, with revenues in New England down 10 percent year-over-year. Labor demand is largely unchanged since August 2013; one contact reports increased demand in the software and mobile application development sector. Labor supply has thinned in recent months across all industries, and is particularly tight in the software/IT and engineering sectors. Firm strategies to attract more job candidates include improved marketing tactics, and an exchange program that temporarily brings in IT professionals from abroad. The temporary-to-permanent rate continues to be strong, with one contact reporting a 50 percent increase this year. Bill rates and pay rates have either remained flat or have modestly increased since August. Looking forward, staffing contacts are generally more optimistic than they were three months ago, expecting steady growth through the end of the year. Contacts across the First District report that leasing fundamentals maintained a very slow pace of improvement in recent weeks, consistent with minimal-to-slow employment growth. However, in some parts of Boston--the Seaport District and Back Bay--absorption has accelerated in recent months and, for the first time since before the Great Recession, speculative office construction is starting to occur. In Rhode Island, tenants are showing an increased willingness to commit to longer-term lease renewals (5-10 years), following an extended period during which shorter-term renewals were favored. At the same time, projected state budget deficits for Rhode Island, and political uncertainty over how such budget gaps will be closed, are seen as a crimp on business expansion in the state. A Connecticut contact echoes the theme of political uncertainty as a drag on growth, as that state is also facing large budget shortfalls in coming fiscal years. A regional lender to commercial real estate cites the U.S. government shutdown as the cause of a sharp decline in loan inquiries, but borrowing activity at the bank has since resumed at a healthy pace. The lending environment remains highly favorable to borrowers, with historically low borrowing rates and increasingly loose lending standards--even too loose in relation to fundamentals, according to some contacts. Abundant investment capital continues to flow into commercial properties across the region, sourced from private equity firms, pension funds, foreign investors, REITs, and high net-worth individuals. Leverage ratios are reportedly on the rise among some investors, but one contact points out that they remain low in absolute terms. In Boston and surrounding suburbs, construction activity (both current and planned) is reportedly on the rise in both the hotel and retail sectors. The growth rate of multifamily construction--recently quite high in metro Boston--is expected to slow considerably within 12 to 18 months, while construction in the health care sector across the region is seen as restrained by uncertainty over the implications of national health care reform. Contacts are cautiously optimistic across the region. Forecasts call for more slow improvement in fundamentals moving forward, pending steady (if slow) employment growth. However, fiscal policy uncertainty at both the state (noted above) and national levels is mentioned by a few contacts as a downside risk to employment growth and hence to improvements in leasing and construction activity. Based on numbers for September and contacts' "sense" of October results, it appears that sales of single-family homes and condos continue to improve throughout New England, while prices continue to approach, and in some states exceed, pre-recession levels. Sentiment across the region is that the recovery is well underway, but sales activity will likely begin to moderate in the months ahead as winter approaches. Pending sales are expected to decline in a few states, and contacts in the field attribute the decline at least partially to a drop in consumer confidence resulting from the recent government shutdown. While some contacts cite consumers upgrading homes, respondents in other states say sales growth is driven primarily by first-time home buyers. Contacts in Maine and Connecticut also cite an uptick in foreclosures and short sales coming onto the market. The other New England states, however, claim unconventional sales generate a relatively small percentage of total sales. New federal flood insurance legislation and new flood maps drawn by FEMA continue to generate concern across the region as insurance rates are expected to rise and make houses located in potential flood areas more expensive to own. Those worries notwithstanding, the overall message is that this has been a turnaround year in First District residential markets, although economic factors could still change the trajectory of the recovery. Second District--New York Economic growth in the Second District has continued at a moderate pace since the last report. Contacts report that cost pressures have abated slightly, while selling prices are steady to up moderately. Service sector firms generally indicate a pickup in activity, while contacts in the manufacturing sector report that it has leveled off. Overall, there were no reports of any major disruptive effects from the federal government shutdown. Labor market conditions have continued to improve modestly since the last report, and there has been some upward pressure on wages. General merchandise retailers indicate that sales picked up a bit in October and were somewhat ahead of plan, with favorable trends continuing into November. New auto sales have continued to be robust, whereas used car sales remain soft. Tourism activity has remained fairly strong in recent weeks. Both residential and commercial real estate markets have been mixed since the last report. Finally, banks report some weakening in loan demand from the household sector, but increased demand for commercial mortgages and loans, little change in credit standards, and steady to declining delinquency rates. Retailers report that sales have improved since the last report and have generally been ahead of plan. One major retail chain reports that sales were on plan in October and looking stronger in early November, while another chain indicates that they have been above plan throughout. New York City stores have continued to out-perform slightly those in the rest of the region. Contacts at major malls in upstate New York note that sales picked up somewhat in October and early November and are running roughly on par with 2012 levels. Inventories are said to be at desired levels. Retail contacts widely describe the pricing environment as more promotional than in 2012. New auto sales are characterized as quite strong: auto dealers in both the Buffalo and Rochester areas report that new vehicle sales were up 20 percent or more from a year earlier in October, with strength projected to continue into November. Sales of used automobiles, in contrast, have remained soft. Wholesale and retail credit conditions for auto purchases are again reported to be in good shape. Tourism activity has remained strong since the last report. Manhattan hotels report that occupancy rates remained high in October, with room rates up moderately from 2012 levels. Hotels in the upper Hudson Valley also report that business has been strong. Attendance and revenues at Broadway theaters have continued to trend up in October and into early November, as more shows have opened. While year-earlier comparisons are distorted due to Sandy disruptions last November, recent levels look robust for this time of the season. Consumer confidence in the region weakened in October. The Conference Board's survey of residents of the Middle Atlantic states (NY, NJ, Pa) shows confidence retreating from a nearly six year high, while Siena College's survey of New York State residents indicates a more pronounced drop, to a nearly two-year low. Residential real estate markets in the District have been mixed since the last report. Contacts in western New York State continue to describe market conditions as robust in October and into early November: sales volume has been exceptionally strong, prices continue to rise, and there are ongoing reports of multiple offers and price wars. Sales activity in New York City's co-op and condo market, on the other hand, has retreated in the 4th quarter, following an exceptionally strong third quarter, and prices have leveled off. While there is a reasonable amount of new development at the high end of the market, inventories across the rest of the market remain lean. Manhattan's rental market has also softened slightly, with rents running modestly lower than a year earlier. A contact in New Jersey's housing industry reports some seasonal slowing in activity in October, suggesting some leveling off in market conditions. Single-family construction in the state remains weak, though there is a fair amount of multi-family development, as well as renovation and alteration work. A large overhang of properties in foreclosure is said to be holding back prices and dissuading some owners from selling. Commercial real estate markets have also been mixed thus far in the fourth quarter. In Manhattan, the outer boroughs, and Long Island, office vacancy rates continue to drift down, while asking rents continue to rise--though only modestly for Class A properties. Northern New Jersey's office vacancy rate is little changed at a high level, while asking rents are flat. However, in the Westchester/Fairfield markets and across upstate New York, vacancy rates climbed to multi-year highs. Industrial markets have also been mixed, with conditions strengthening noticeably in downstate New York and northern New Jersey, but slackening across upstate New York. On balance, the labor market has been steady to slightly stronger since the last report. Overall, businesses indicate that they are increasingly likely to add workers in the months ahead--particularly manufacturers. One major employment agency reports that the government shutdown in October took some momentum out of hiring, but that business has been steady in recent weeks. Another agency indicates little change in the market, with somewhat less of a seasonal slowdown than expected thus far--possibly due to mild weather. Salary offers have reportedly increased slightly. One employment agency contact observes that companies are increasingly inclined to hire long-term, full-time workers, as opposed to temps. Manufacturing firms in the District report that activity has leveled off in recent weeks. But businesses in other sectors report increasingly widespread increases in activity. Both groups continue to express fairly widespread optimism about the near-term outlook. Businesses generally report some easing in input price pressures; manufacturers report that their selling prices remain steady, though service-sector firms overall report moderate price hikes, and a sizable number plan at least some price hike in the months ahead. Small to medium sized banks across the Second District report decreased demand for consumer loans and residential mortgages but increased demand for commercial mortgages and commercial & industrial loans. Bankers also report a decrease in demand for refinancing. Respondents indicate that credit standards were unchanged across all loan categories but note a decrease in spreads of loan rates over costs of funds for all loan categories--particularly commercial mortgages. Respondents report no change in the average deposit rate. Finally, bankers report continued declines in delinquency rates for all loan categories except for residential mortgages, where rates have leveled off. Third District--Philadelphia Aggregate business activity in the Third District continued to rise at a modest pace during this current Beige Book period (beginning with the first partial week of October). Reports from most sectors changed little. However, existing home sales resumed a moderate pace of growth (albeit from low levels), and manufacturing activity slowed to just a slight pace of growth. Sectors that continued to expand at a modest pace included residential construction, general retail sales, tourism, staffing services, and commercial real estate leasing. Commercial real estate construction continued to expand only slightly. The broad general services sector continued to grow at a moderate rate, and auto dealers continued to report strong sales activity. Loan volumes at Third District banks grew at a modest pace across most categories, and credit quality continued to improve. Contacts reported little change to the slight overall increases in wages, home prices, and general price levels--similar to the last Beige Book period. Despite a slower pace of growth in some sectors, contacts overall maintained an outlook for moderate growth--similar to the last Beige Book. Contacts in most sectors continued to express confidence in the underlying economy. In particular, manufacturers and service-sector firms expressed strong confidence in the U.S. economy and in global conditions. In regard to hiring and capital expenditure plans, firms continued to expand cautiously, as they face ongoing uncertainty from federal fiscal debates and implementation of the Affordable Care Act. Third District manufacturers have reported continued increases in orders and shipments at a slight pace of growth overall since the last Beige Book. One-third of all firms reported increases--about the same as before. However, one-fourth of the firms reported decreases--somewhat higher than before. The makers of food products, paper products, fabricated metals, and instruments have reported gains since the last Beige Book. Reports of decreases came from the makers of lumber and wood products, chemicals, primary metals, and industrial machinery as well as the makers of stone, clay, and glass products. Some reports reflect seasonal trends. Firms across several sectors noted a reduction in activity due to the government shutdown. One contact reported: "We definitely noticed a quieter period during the first two weeks of October." Another said that "the debt ceiling debate is having a chilling effect on demand." Despite disruptions from the shutdown, one large industrial supplier reported that conditions have been improving steadily since a trough in July. Significantly more firms (over half) reported increases in their total workforce compared with the firms that reported increases one year ago (one-third). Also, the average rate of capacity utilization reported by firms was slightly higher this year. Optimism that business conditions will improve over the next six months remained high although not quite as high as during the prior Beige Book period. While over half of the firms continued to anticipate increases in activity, some firms expected decreases in activity, where there had been none before. One contact reported that "clear fiscal policy can help spur more growth, while fiscal dysfunction will most likely derail economic activity. I do not know what to expect for early 2014." Though still positive overall, contacts have reported somewhat lower expectations of hiring and capital spending plans since the last Beige Book. Third District retailers have continued to report modest growth overall since the last Beige Book. Contacts cited some negative impacts from the government shutdown and cautioned that year-over-year comparisons might be overly strong due to last year's impacts from Hurricane Sandy. Retailers reported hopeful, but very uncertain, expectations for their all-important 2013 holiday season. Shifting from the longest shopping season last year to the shortest shopping season this year has prompted considerable jockeying by traditional and online retailers over the timing and scope of their promotional offerings. More stores plan to open on Thanksgiving Day than ever before; some Black Friday deals are being offered earlier. Retailers may gain more clarity after Black Friday and Cyber Monday results are tallied, but a complete picture may require sales results for November, December, and January. Auto dealers have reported continued strong sales since the last Beige Book period. Pennsylvania dealers reported some softness during the government shutdown. New Jersey dealers reported stronger sales activity but cautioned that year-over-year comparisons for October through year-end will be affected by last year's storm impacts--first as sales lagged during the storm and its immediate aftermath, then soared as replacement vehicles were purchased. Dealers reported that they remain bullish on sales for "at least the next twelve months." Overall, Third District financial firms continued to report modest increases in total loan volume. Most loan categories appeared to grow somewhat; however, contacts reported essentially no change in commercial real estate loan volumes. Demand remained strong for financing of multifamily housing projects. Several contacts noted that consumers are increasing their use of home equity lines rather than refinancing to do home improvements. Contacts reported that the low interest rate environment has been helpful for businesses generally and that borrowers' financial statements are looking better. However, small businesses remained "reluctant to borrow." Banking contacts continued to express concerns about aggressive competition on rates and terms, suggesting that credit standards have continued to ease slightly. Overall, most bankers remained optimistic, albeit for continued slow, steady growth. Third District homebuilders have reported little change in their modest pace of activity since the last Beige Book. One builder reported greater interest in the last few weeks after weaker activity at the outset; his competitors had struggled early as well. With recent small drops in gas prices and interest rates and the rise in stocks, he wondered where the buyers were. Another builder reported that the government shutdown and general malaise seemed to be contributing to the soft demand. Another builder reported that contractors remain reluctant to invest in new capacity and to hire workers requiring training. Instead, contractors are "stealing" skilled labor from each other. According to residential real estate brokers, sales of existing homes resumed double-digit growth rates (year over year) in most of the Third District's major metropolitan areas. Reported increases ranged from 17 percent in October for the Lehigh Valley to 27 percent in the Harrisburg area. Contacts for the Philadelphia metropolitan statistical area and southern New Jersey also reported growth in excess of 20 percent. The inventory of homes for sale continued to fall in all markets. Nonresidential real estate contacts indicated little change in the slight growth rate of construction and the modest pace of overall leasing activity. Demand remains strongest for new construction of industrial buildings, hospitals, schools, and other institutions. Multifamily buildings for apartments and condos also remain in greater demand. Leasing agents, management companies, and commercial market analysts remained optimistic for steady progress in various sectors and locations within the Third District. Third District service-sector firms continued to report a moderate pace of growth overall; staffing firms and tourism maintained a more modest pace. Tourism along the Delaware and New Jersey shores is seasonably slow. Storm-impacted areas of the Jersey shore continued to experience somewhat lighter traffic than normal but most parts of the Jersey shore as well as Delaware beaches experienced normal activity. Tourism is expected to be back to normal next year, except for those few areas that lost the greatest number of homes during the storm. Other service firms reported modest to moderate growth rates. Contacts described growth during the recent Beige Book period as "steady" and "nothing exciting," with no significant impact from the government shutdown. The steady recovery in the residential housing sector was cited by contacts from a variety of service sectors as underpinning their own steady gains. Staffing firms also reported steady growth in demand for temp placements, especially in manufacturing, distribution, and health care. Overall, service-sector firms remain confident that current trends will continue with a possibility for a slightly faster pace of growth. Overall, Third District contacts reported no change to the steady, slight pace of price level increases, similar to the previous Beige Book. Manufacturing firms reported that prices paid and prices received moved higher again. Auto dealers and general retailers reported little change in pricing, and most builders reported holding prices steady. One builder offered price incentives in October that drove additional sales. Many contacts reported coping with extremely tight margins. Generally, real estate contacts continued to report rising prices for lower-priced homes, while higher-priced homes are aligned to local market conditions. Very few contacts are seeing wage pressures, other than for a few highly skilled occupations. Fourth District--Cleveland Business activity in the Fourth District expanded at a moderate pace since our last report. On balance, demand for manufactured products grew at a moderate rate. Housing market activity dipped slightly, while nonresidential builders saw an overall pick up in business. Reports on retail purchases during October were mixed. New-motor-vehicle sales posted moderate gains on a year-over-year basis. Wet-gas production in the Marcellus and Utica shales rose sharply between the second and third quarters of 2013. The rate of decline in coal production is slowing. Freight volume remains above year-ago levels. Applications for business and consumer credit rose slightly. Hiring was sluggish across most industry sectors, though we did see a pickup in construction. Staffing-firm representatives reported that the number of job openings and placements increased slightly, with vacancies found primarily in healthcare and manufacturing. Wage pressures remain contained. Input and finished goods prices saw little change, apart from increases in residential construction materials and steel. Reports from District factories showed that demand was steady to growing at a robust pace during the past six weeks. Companies seeing the strongest activity were suppliers to the aerospace, housing, motor-vehicle, and oil and gas industries. A few contacts noted that they are starting to see improvements in European markets. Defense contractors are still coping with uncertainty, due primarily to government fiscal issues. Compared to a year ago, manufacturing production levels are mainly higher. Looking forward, most of our respondents expect little change in demand other than normal seasonal variation, though several manufacturers cited the regulatory environment and the dampening effect it could have on confidence. Steel producers and service centers reported that shipping volume is below expectations due in part to customers keeping their inventories at low levels. Most of our respondents remain concerned about the quantity of steel imports, though a few noted that they are beginning to see a decline in the amount being imported. Steel producers do not expect market conditions to change appreciably in the next few months apart from seasonal variation. District auto production was strong during October, with production numbers showing sizeable increases on a month-over-month and year-over-year basis. Capacity utilization rates have risen during the past few months for some of our contacts, but almost all reported sufficient capacity to absorb additional demand spikes. Only one contact reported that he is considering expanding capacity. Capital expenditures are in line with budgeted amounts for the fiscal year. Outlays are being allocated primarily for productivity enhancements and information-technology upgrades. Several manufacturers indicated that they are taking a more conservative stance toward upcoming capital budgets until there is a higher degree of certainty about the economy. Growth in raw material and finished goods prices was generally flat. We heard a few reports about rising steel prices, which manufacturers successfully passed through to their customers. Factories expanded payrolls at a sluggish pace. Sales of new single-family homes declined slightly during the past six weeks, which builders attributed to seasonal factors and a lowering of consumer confidence. Multifamily construction remains strong. New-home contracts were found mainly in the move-up price-point categories. The first-time home-buyer category remains very weak. Selling prices of new homes continued on a steady upward trend due to rising costs (labor and materials) and low inventory in desirable areas. One builder noted that he has seen three price increases in the past year. Builders are confident that demand for new homes will persist, and sales should pick up after the first of the year. Nonresidential builders reported an overall pick up in business. Smaller projects are filling the pipeline at this time, while very large projects are few in number. With respect to the latter, uncertainty about the strength of the economy and fiscal issues are keeping investors from moving forward. Most of our contacts indicated that they are comfortable with the number of inquiries they receive and their backlogs. However, several builders emphasized that clients are only closing on projects that are viewed as crucial to their businesses. The strongest activity was in manufacturing, distribution, shale gas, commercial development, and multifamily/affordable housing. Our contacts are cautiously optimistic about near-term prospects but are expecting slow growth at best. Prices for residential construction materials--lumber and drywall--have increased substantially in the past year, but the rate of increase is slowing. General contractors reported moderate hiring in their apartment management divisions, while the hiring of field and back-office personnel was more limited. Many of our contacts noted increases in health-insurance premiums. Builders cited a scarcity of high-skilled trade workers. As a result, there is upward pressure on wages, and subcontractors are demanding and getting higher rates. Reports on retail purchases during October were mixed. Retailers who saw flat or lower sales relative to September attributed it in part to a weakening in consumer confidence. A full-service food retailer noted a proliferation of dollar stores, which are attracting a rising share of his lower-income customers. Stores seeing increased sales credited a larger product selection and wider use of promotions. Most of our contacts said that year-over-year sales were higher. Products in greater demand included core goods and cold-weather apparel. One of our contacts expects that electronics purchases will pick up once the holiday shopping season gets under way. Projections for the fourth quarter call for flat to moderately higher sales relative to the same time period last year. Inventories were described as being in good shape. Vendor and shelf prices held steady. Some retailers expect to increase capital spending in 2014, mainly for improving e-commerce and distribution systems. Temporary hiring for the holiday shopping season is expected to be flat compared to 2012, though one chain reported that it plans to hire about 10 percent more holiday workers this year. Another retailer reported that it is very difficult to hire the number of temporary workers needed for a regional distribution center. Year-to-date sales through October of new motor vehicles showed a moderate increase when compared to the same time period in 2012. On a month-over-month basis, purchases of new vehicles were slightly lower during October versus September. Although buyers continue to prefer smaller, fuel-efficient vehicles, there was a pickup in sales of crossovers and SUVs. New-vehicle inventories were characterized as very good to a little high. Aggregate unit volume projections for 2013 were mixed. In some regions of the District, our contacts believe that volume will be 10 percent to 12 percent higher year-over-year. In other regions, such as those that are dependent on the coal industry for income, dealers are projecting little change from a year ago. Used-vehicle purchases showed a large increase from September to October. Employment levels rose slightly across dealerships. Demand for business credit grew slightly during the past six weeks. No loan category or industry is performing significantly better than others, although many bankers noted that commercial-real-estate lending has picked up. Downward pressure on commercial-loan pricing was described as moderate to strong. Consumer credit was little changed. Home-equity products and auto lending drew the highest demand. A large regional banker observed that credit-card usage is falling below expectations. Most contacts reported a slowdown in residential mortgage activity, which they attributed to seasonal factors and a rise in interest rates. The shift from refinancings to new-purchase applications continued. For the most part, delinquency rates were stable or declining. No changes to loan-application standards were reported. Core deposits by businesses and consumers grew. On balance, banking payrolls were flat. Aggregate coal output across the District remains below year-ago levels. A large production decline in eastern Kentucky is being partially offset by modest increases in Ohio, Pennsylvania, and northern West Virginia. Going forward, little change in output is projected. Spot prices for steam and metallurgical coal have declined since our last report. There has been little change in the number of drilling rigs across the District since the beginning of August. However, production from the wet-gas regions of the Marcellus and Utica shales has grown significantly in the third quarter of 2013, when compared to the second quarter. Higher production was attributed to the completion of pipeline connections and the startup of gas- processing plants. We heard one report about plans to construct six additional wet-gas processing plants in the state of West Virginia. Well-head prices for natural gas remain at low levels, with some volatility seen in oil prices. Coal operators and oil and gas producers reported that capital outlays were at targeted levels. Some oil and gas companies plan to increase spending in the first quarter of 2014 for land acquisition and drilling. Production-equipment and material costs were stable. Payrolls and wages held steady. Freight executives reported that the slowing in the rate of revenue growth that began early in the third quarter has continued. However, year-to-date shipping volume is higher when compared to the same period in 2012. The industry outlook is favorable, with volume expected to grow at a slow, but steady pace. Operating costs were stable. A few contacts noted that they have successfully negotiated rate increases, although increases fell below desired levels. Capital outlays for new tractors were somewhat higher than planned for the current fiscal year due to capacity expansion or OEM price incentives. The industry has been actively hiring for replacement and to a lesser degree, adding capacity. Fifth District--Richmond The District economy expanded moderately in recent weeks. The manufacturing sector strengthened, with a notable increase in shipments and new orders. Retail sales also picked up since our last report, driven by big-ticket sales. Auto sales remained solid. At non-retail services firms, reports were mixed. Tourism varied, with reduced or cancelled government bookings dragging down an otherwise positive report. Consumer lending activity weakened, while commercial lending improved. Residential real estate markets slowed, with little change in new construction. Commercial real estate markets were stable with most of the new construction centered in multi-family housing. Commercial leasing demand was relatively unchanged since our last report. Farming yields varied, with a record high corn harvest. Natural gas production continued to increase, while coal declined. In District labor markets, both permanent and temporary employment improved slightly. Average wages rose more quickly. In manufacturing, price increases moderated for both inputs and outputs. Retail and non-retail services prices also increased at a slower pace. Manufacturing strengthened since our last report. Shipments and new orders had a sizable increase according to our survey respondents. A lumber contact located in North Carolina stated that inventories of raw materials and finished goods are being managed at correct levels and that 2013 appears to be headed for a good profit year. He further expects continued improvement in new home building. A manufacturer of airflow measurement devices stated that his sales volume was up two to three percent year to date, despite short-term volatility. A fabric manufacturing company in North Carolina also reported a recent upturn in business, but noted that costs had increased. According to the latest manufacturing survey, prices of raw materials and finished goods rose more slowly compared to last month. Port activity continued to be robust. Larger ports saw strong container traffic; an official at a major District port noted that exports of containerized grain have been growing every quarter and that housing-related imports such as flooring were up year over year. Coal exports rose during the last month at one port, but were nearly flat for the year so far, while declining elsewhere. Food and beverage imports were strong, and both imports and exports of products such as apparel, toys, and electronics grew "at a good clip." In the last several weeks, import and export traffic of autos and auto parts remained strong overall. According to our contact at a mid-sized port, container traffic was steady. Retail sales were moderately stronger at most establishments in recent weeks, particularly for big-ticket items such as furniture and appliances. However, executives at a few department stores reported little change in sales or foot traffic. A department store executive in West Virginia remarked that he was "being squeezed" by internet competitors. Compared to a year ago, retailers generally expected little growth in holiday sales and sales of gift cards. In contrast, a manager at a chain discounter commented that current sales were lackluster, but lay-away at the store was very busy. Most retail contacts said their holiday inventory levels were about the same as a year ago. Merchants were split on whether they would have more promotions and discounting than last year. Auto sales remained solid, although a few dealers noted some slowing. Average retail prices rose more slowly since our last report. Reports from non-retail services firms were mixed. Telecommunications firms reported growth, with a North Carolina source commenting in particular on growth in server farms. A financial services executive commented that his clients were cautiously moving forward with investments, but that they remained hesitant. An executive at a national trucking firm reported that business was consistent with no changes in pricing or capital expenditures. However, construction-related businesses, such as HVAC, reported flat revenues in recent weeks and several restaurant executives indicated that sales were down. Prices in the service sector rose at a slower pace. Tourism reports also varied, with some hoteliers reporting cancellation of large government bookings. An executive at a resort and conference hotel in central Virginia remarked that he can no longer count on group clients booking multi-year contracts for regular conferences because of the firms' budget uncertainty over healthcare costs. In contrast, a resort executive in western Virginia reported that colder weather expectations have raised ski bookings compared to recent years, and weather conditions have allowed snow-making at Thanksgiving. The strength in bookings has allowed the resort to raise some rates for the first time in several years. A contact on the outer banks of North Carolina also reported strong house rentals and hotel bookings for Thanksgiving; several hotels there offered Black Friday specials. Consumer borrowing weakened slightly throughout the district since our last report. Several sources indicated that residential mortgage lending has declined in response to higher rates and tighter restrictions from the Qualified Mortgage rule. Further, a banker stated that consumers are reluctant to apply due to their perception that loans are becoming more difficult to obtain. Competition among bankers has risen, with lenders offering incentives such as including closing costs. Also, the consensus felt that the credit quality of applicants has slipped mildly as "stronger applicants are drying up." On a positive note, one central Virginia lender reported seeing an uptick in new construction loans. In addition, all sources reported that delinquency rates have improved. Commercial lending competition increased, leading to some easing in credit quality standards. Rates have remained flat, and lenders reported that businesses are increasingly interested in buying the buildings they are leasing. Residential real estate markets slowed slightly in the past month. Realtors reported a slight increase in sale prices. A Realtor from South Carolina reported an upward trend in sales of entry level homes, and a slow-down in sales of mid- to upper-level homes in the past few weeks. On the other hand, a Northern Virginia Realtor reported a slight decrease in sale prices and thinks there could be another small decrease in the next few weeks. Average days on the market were generally unchanged from last month, although both South Carolina and North Carolina contacts reported a slight increase due to reduced buyer traffic. In contrast, a real estate broker located in Charlotte said relocation referrals were up in the last four to six weeks, and an agent in Greensboro stated that buyers in his region are feeling more confident and that there is a shift towards a more balanced market. Home inventory throughout the District is tight, although a central North Carolina real estate agent told us the supply of town homes and condos is adequate in his region. New construction changed little from a month ago. Commercial real estate markets have remained stable throughout the District, with continued strength in multi-family construction. A broker in Richmond reported that commercial development in multi-family housing continues to be strong both in new construction and rehab of older buildings. Construction activity generally flattened in the Carolinas and West Virginia. Another Richmond agent reported new construction in retail, anchored around large stores and food retailers, with some pickup in residential development. A Virginia Beach Realtor reported steady construction activity in office and retail. A broker in that area stated that demand is primarily in the small to medium size range except for a couple of big box retailers. Realtors report a slight decline in Class A office space, but availability varied greatly by submarket. A Roanoke, Virginia Realtor reported a shift to Class A space in suburban markets due to the expansion of professional services, and a Realtor from Columbia, South Carolina has seen high demand for Class A space in the central business district. Realtors throughout the district reported that office tenants were downsizing and focusing on space efficiency. A commercial Realtor in Charlotte, North Carolina reported new construction plans in the health industry and suburban office buildings. Commercial leasing remained largely unchanged since the last report, with the exception of a mild pickup in the industrial market. Brokers in central Virginia and Charlotte reported that there was an unusual level of demand for large blocks of industrial space. In addition, a Realtor from Raleigh reported an increase in industrial flex space. Overall, vacancies, sales prices, and rental rates flattened since our last report. Crop yields varied since our last report. Corn yields are above the 2012 record and on track for a strong finish this year. Cotton and peanut yields are steady in North Carolina, though below the 2012 record. South Carolina cotton declined moderately from the 2012 record, while peanut yields there were on par with year ago levels. In animal farming, a contact noted that poultry production was declining on the Eastern Shore of Virginia and Maryland due to regulatory changes and water pollution issues. Natural gas production increased in the last four to six weeks, with a seasonal uptick in gas prices. According to a West Virginia contact, natural gas exploration continued to be active with new pipeline being added when needed. He also reported a proposal for a petrochemical complex in the near future. Coal production has decreased slightly. An industry contact stated that current production levels are expected to remain constant. There were reports of possible coal mine closures. Employment conditions around the district improved slightly over the last several weeks. According to the manufacturing survey, employment and wages rose somewhat more quickly. Survey results from the retail and service sectors indicated that employment picked up across the board. Wages in the service sector increased marginally while faster growth was reported in average retail wages. A respondent in North Carolina said that hotel operators in the western part of the state were raising wages by 6 to 7 percent for low-skilled workers. A staffing agency executive remarked that it was difficult to find suitable candidates because the "skill level demanded is too high," and that more workers are taking temp-to-permanent positions. Additionally a recruiter in South Carolina stated that while temporary employment orders rose, full time job openings remained depressed. Contacts reported difficulty filling permanent positions in the fields of medical, maritime, construction-related, and information technology. A temp agency in Maryland reported that labor demand is currently targeted towards distribution, heavy manufacturing, and the information technology sector. Seasonal retail hiring has been generally at last year's level, and few contacts expected to retain seasonal hires as permanent employees after the holidays. Sixth District--Atlanta Businesses across the Sixth District described economic activity as moderately increasing from October to mid-November. Most contacts expect the economy to expand at a slow, steady pace for the remainder of the year but remain positive as they anticipate improving conditions for next year. While auto sales remained stable, reports on other components of consumer spending were mixed. The travel and tourism industry was a bright spot for the District as overall activity continued to expand. Residential real estate brokers indicated that growth of existing home sales had slowed, while homebuilders saw sales growth increase over a year ago. Commercial contractors noted that activity increased, albeit at a modest pace. Manufacturers reported mild gains in new orders and production. On balance, bankers noted better loan demand. Wages and input prices continued to increase at a slow and steady pace. Retailers cited mixed results from October to mid-November. District retail contacts indicated that economic uncertainty was having an impact on consumer confidence and behavior. Although merchants reported plans to offer robust discounting, beginning even earlier than the traditional Black Friday, retailers' expectations for the upcoming holiday season are only mildly optimistic. Sales of light vehicles were steady. Hospitality firms continued to cite expanding levels of activity in both leisure and business travel. Industry contacts expect a robust holiday season and continue to anticipate strong performance for the first half of 2014. Overall, the industry is forecasting continued growth in business and leisure travel and a healthy influx of international visitors based on reports of advanced bookings. District brokers indicated that growth of existing home sales have slowed notably in recent months. The majority of brokers said sales were flat to slightly up compared with a year earlier but were below their plan for the period. Most brokers indicated that the government shutdown had an impact on their business, including confusion about the availability of government insured mortgages, delays in processing loans, and reduced consumer confidence. By most accounts, inventory levels continued to decline on a year-over-year basis. Home prices remained ahead of the year earlier level but price gains seemed to be slowing. The outlook among brokers has waned since our last report. Most anticipate that sales will be flat to slightly up on a year-over-year basis over the next several months. District builders indicated that recent activity was in line with their plan for the period. The majority of builders noted that new home sales and construction were ahead of the year earlier level. However, similar to broker reports, homebuilders noted that the government shutdown impacted their business, as well. Reports on unsold inventory were mixed while modest home price appreciation continued to be noted. The outlook for new home sales and construction remained slightly positive. District commercial brokers noted that demand for space continued to improve modestly. Construction activity slightly increased as well, from earlier in the year. Most contractors said that activity in the third-quarter was ahead of the year-ago level. New build-to-suit projects continued to break ground across the region while landlords also updated space to make it attractive for tenants to rent. Once again, brokers indicated that most markets still favored tenants; however, rental rate increases continued to be noted in select submarkets. The outlook among District commercial real estate contacts remained positive with further improvements expected early next year. District manufacturers reported gains in new orders, production, and employment in October compared with the previous month. An increasing number of contacts cited higher than desired finished inventory levels and that commodity prices continued to rise, albeit at a modest rate. Manufacturers also noted a mild decrease in supplier delivery times. Although overall production increased, expectations for production have fallen with approximately one-quarter of manufacturing contacts expecting production to increase over the next three-to-six months, compared with one-third from our previous report. Railroad contacts continued to cite significant increases in shipments of petroleum products and nonferrous scrap metals, as well as metallurgical coal; however, rail traffic year-to-date is up only slightly. District port contacts reported record levels of container shipments, bulk cargos, and truck and intermodal freight. Trucking tonnage continued to increase year-over-year from heavier freight loads of energy products, housing construction materials, and autos. Contacts cited significant investment in the production of Liquefied Natural Gas (LNG) for use in the transportation sector. A majority of regional transportation contacts indicated that their customers' do not expect to meet their holiday season volume expectations, although some logistics firms have forecast record volumes due to online sales. Banking contacts reported better overall lending activity, relative to our previous report, although loan demand in rural areas remained low. Commercial real estate lending increased as property values rose; commercial and industrial and auto lending was strong. Mortgage lending and refinancing activity slowed as mortgage interest rates increased. Deposit levels were high at most institutions and banks continued to competitively seek out quality-loan customers. Some banks loosened underwriting standards and reduced margins to attract new loan business. On balance, contacts across the private sector reported that the government shutdown had little-to-no direct impact on employment, but has negatively affected business confidence, which could translate into delayed hiring decisions in the present or near term. Contacts continued to cite that companies looking to hire expressed concern that their inability to find qualified labor is inhibiting business expansion. Overall, firms experiencing any growth in demand for their products expressed no plans to hire in the near term. Contacts continued to report stable pricing with no major concerns about inflation. Isolated reports of cost increases, for example in fast food, grocery stores, and construction, were generally passed through successfully to customers. Year-ahead unit cost expectations were unchanged at 1.9 percent, according to the Atlanta Fed's survey on business inflation expectations. Overall, profit margins were tight across most industries. Aside from scattered reports of upward pressure on wages for high-skilled workers, increases remained stable (mostly in the 2-3 percent range) across most industries. Energy contacts continued to cite infrastructure expansion and high-capacity utilization. Rail investment has provided much needed relief to the liquids transportation bottleneck issues that arose with the increasing production from shale resources. Overall, contacts remain largely optimistic about future demand, productivity, and pricing for the industry. Drought conditions in Mississippi and Louisiana eased while other areas in the District continued to experience abnormally dry conditions. Since the previous cycle, monthly prices paid to farmers for cotton, rice, and oranges increased while prices for corn, soybeans, beef, hogs, and poultry decreased. The most recent crop production projections for corn and soybeans were up from last year while cotton, rice, and orange projections were down. Contacts reported making investments in irrigation equipment, storage augmentation, and replacing smaller equipment with larger, more modern units as ways to improve production and/or contain costs. Seventh District--Chicago The rate of growth in economic activity in the Seventh District continued to be modest but slowed a bit in October and early November. Growth in consumer and business spending remained modest, while manufacturing production and construction activity continued to rise at a moderate pace. Contacts remained hopeful for improvement in 2014, although they were slightly less optimistic than they were during the previous reporting period. Credit conditions changed little on balance. Cost and wage pressures remained mild. A longer growing season contributed to higher than expected corn and soybean yields. Consumer spending growth remained modest in October and early November. Auto sales in the District slowed during the government shutdown, but subsequently picked up in late October and November. Contacts noted that lower gas prices were causing sales to shift away from fuel-efficient vehicles. Non-auto retailers reported typical sales levels during the lull between the back-to-school and holiday seasons. Sales of electronics were up, while grocery sales were flat, and apparel sales declined. District retailers are anticipating moderate growth in sales during the holiday season, but with gains somewhat below those expected at the national level. Business spending grew at a modest pace in October and early November. Inventories were at comfortable levels for most retailers and manufacturers. A number of auto dealers reported that inventories were slightly higher than normal, but that this was an intentional buildup in anticipation of increased demand from buyers looking to lock in low interest rates. In contrast, steel service center inventories remained low. Growth in capital spending was up only slightly; but spending plans for the next six to twelve months increased, particularly in the manufacturing and finance sectors. Contacts reported investing in structures, equipment, information technology, and vehicles. In general, the pace of hiring edged down again and expectations for future hiring dropped. One staffing firm, however, reported an increase in billable hours, particularly in manufacturing. Many contacts noted continuing strong demand for skilled and experienced workers. Part-time seasonal hiring for the holidays was slightly lower than normal, with retailers choosing to increase hours instead of hiring new workers. Construction and real estate activity increased moderately over the reporting period. Overall demand for residential construction grew slightly, although remodeling activity slowed considerably. Multifamily construction experienced moderate growth with strength concentrated in the apartment sector. In residential real estate markets, home sales, prices, and rents continued to rise, though at a slower rate than earlier in the year. Inventories of homes for sale stayed near record lows, but contacts expected them to rise as increasing house prices induce more people to list their homes. Nonresidential construction grew modestly, with contacts noting an improvement in the outlook for industrial building and hotels. Commercial real estate activity continued to expand as retail leasing picked up, though a large fraction of deals contained relatively short-term contracts. Growth in manufacturing production remained moderate. The auto and aerospace industries were again a source of strength for the District. A large number of new vehicle launches pushed auto production and capacity utilization higher. Steel production fell slightly even though imports were down and net demand from service centers picked up. Specialty metal manufacturers reported slight declines in new orders and backlogs, and were worried that demand would be weak toward the end of the year. Demand for heavy equipment remained soft as sales of farm and mining equipment declined. Rental companies, however, continued to make large investments, as many users prefer to rent rather than purchase equipment given the uncertain business environment. Demand for heavy- and medium- duty trucks was up in response to the improving housing market and the pull-forward of sales in anticipation of new EPA standards in 2014 that will raise the cost of trucks. Manufacturers of construction materials saw a slight increase in demand and expected moderate growth in the coming year. In general, manufacturing contacts remained somewhat optimistic for 2014. Nonetheless, they still expected heightened uncertainty--exacerbated by worries about rising healthcare costs and fiscal policy gridlock in Washington D.C.--to continue to dampen demand. Credit conditions changed little on balance over the reporting period. Volatility decreased significantly across several asset classes and equity markets saw significant improvements. With rising benchmark rates, contacts noted slight declines in spreads for corporate borrowers, especially in the high-yield debt market. Banking contacts noted a leveling off in the gradual uptrend in asset quality. Demand for commercial and industrial loans remained relatively unchanged. Competition among lenders increased for the limited number of opportunities, putting modest pressure on prices and structures. Contacts also noted an increase in commercial real estate development activity. Residential mortgage activity declined as the increase in borrowing rates resulted in fewer homeowners refinancing mortgages. In contrast, contacts noted increased consumer borrowing, particularly for purchasing and refinancing autos. Cost pressures changed little since the last report. Overall, commodity prices were up slightly. Steel, scrap, lumber, and gypsum prices rose, iron ore prices were flat, and coal and gasoline prices were lower. Retailers noted that heavy promotional activity is being planned for this holiday season. Wage pressures were up slightly. Non-wage labor costs were steady, though a number of contacts reported higher health insurance premiums because of regulatory changes in the Affordable Care Act. Harvesting took longer this fall than a year ago given the larger size of the crop and delays from precipitation. Crop yields remained higher than expected across the District, even in areas that experienced yield losses from drought. In general, farmers tended to sell soybeans and store corn. Pastures and winter wheat fields were in better shape than they were last year. Crop prices fell over the reporting period, though higher exports of corn, soybeans, and wheat cushioned the decline. Lower fertilizer prices relieved some concerns about 2014 crop production costs. Milk and cattle prices were a bit higher; hog prices fell, although they remained above the level of a year ago. The prospects for livestock producers improved due to reduced feed costs. Eighth District--St. Louis Business activity in the Eighth District has expanded at a moderate pace since the previous report. Recent reports of planned activity in manufacturing and services have been positive. Reports of retail and auto sales have also been positive. Overall residential real estate market conditions in the District have continued to improve; commercial and industrial real estate markets have also improved in some areas of the District. Lending activity at sample of District banks was little changed during the third quarter of 2013. Prices, wages, and employment levels have stayed the same or increased according to most contacts in the District. Contacts reported that retail sales in September and October were up, on average, compared with the same period last year. About two thirds of contacts noted increases in sales, while one third noted decreases. Some contacts noted fewer sales from low-income shoppers, and some contacts noted increases in lower-end product sales. Contacts also noted that new store openings and renovations outnumbered store closings over the past three months. Most contacts expect holiday sales to increase compared with last year, and many have hired more seasonal employees than last year in anticipation of increased sales. Reports from auto dealers were generally positive. The majority of contacts reported increased sales in September and October compared with the same period last year. Sixty percent of contacts reported that inventories were at desired levels, while one third reported that inventories were too low. One third of contacts reported increases in used car sales relative to new car sales, while 25 percent reported the opposite. Forty-two percent of contacts reported increases in high-end vehicle sales, while 17 percent reported increases in low-end vehicle sales. A number of contacts cited increased sales of small sport utility vehicles, crossover utility vehicles, and medium duty trucks. Most contacts expect increased sales in November and December relative to last year. Reports of plans for manufacturing have been positive since our previous report. Several manufacturing firms reported plans to add workers, expand operations, or open new facilities in the District, while a smaller number of manufacturers reported plans to reduce employment. Firms that manufacture food, automobiles, wind turbines, toys, steel flanges, pet food, machinery, and nitric acid plan to hire new employees and expand operations in the near future. In contrast, firms that manufacture auto parts, lead, bottle tops, paper and packaging products, and construction materials reported plans to lay off workers. Manufacturing contacts noted more inquiries and new orders in the most recent quarter, compared with the same period last year. Reports of planned activity in the District's service sector have also been positive since the previous report. Firms in courier and express delivery services, health care benefit management, distribution, logistics, retail trade, business, telecommunication, information technology, and recreation services reported new hiring (including seasonal hiring) and expansion plans in the District. In contrast, firms in health care, transportation, and financial services announced plans to reduce employment. Home sales have continued to increase throughout most of the District on a year-over-year basis. Compared with the same period in 2012, October 2013 year-to-date home sales were up 17 percent in Louisville, 20 percent in Little Rock, 9 percent in Memphis, and 7 percent in St. Louis. Residential construction also improved in many areas of the District. Contacts reported residential developments in downtown Little Rock and active housing starts in the Memphis-area suburbs. In contrast, a contact in Louisville reported that new residential construction is not recovering as fast as housing demand. Commercial and industrial real estate market conditions have continued to improve in some areas of the District. A contact in Memphis reported that commercial and industrial real estate market conditions have improved, a contact in St. Louis reported that sales activity in the industrial market increased, and a contact in Louisville reported that the industrial real estate market in southern Indiana has improved. In contrast, a contact in Little Rock reported that the industrial market has been a "sleepy sector," while a contact in Louisville noted that there was no office leasing activity in the third quarter but expected it to pick up in the fourth quarter. A survey of District banks found little change in overall lending activity during the third quarter of 2013. During this period, credit standards and creditworthiness of applicants for commercial and industrial loans remained mostly unchanged, while demand for these loans was slightly weaker and delinquencies decreased moderately. Credit standards and credit worthiness of applicants for prime residential mortgage loans remained mostly unchanged; demand was moderately weaker overall, with some respondents reporting substantial weakness; and delinquencies saw a slight decrease. Credit standards and creditworthiness of applicants for auto loans and credit cards remained mostly unchanged, while demand decreased moderately and delinquencies edged down slightly. Credit standards, creditworthiness of applicants, and demand for other consumer loans remained mostly unchanged, while delinquencies edged down slightly. As of mid-November, over 90 percent of the District corn, sorghum, and rice crops had been harvested, while harvest progress of the District cotton and soybean crops was 81 and 89 percent complete, respectively. Winter wheat planting was 87 percent complete, on average, across the District. Year-to-date coal production in the District for October was 3.7 percent higher compared with the same period in 2012. Coal production for October 2013 was 11.1 percent greater than in October 2012. Sixty-one percent of contacts indicated that prices charged to consumers over the past three months have stayed the same, while 25 percent indicated that prices have increased relative to the same period last year. In turn, 44 percent of contacts noted that wages over the past three months have stayed the same, while 52 percent noted that wages have increased. Meanwhile, 61 percent of contacts reported that employment levels have remained the same over the past three months compared with the same period last year, while 28 percent reported that employment levels have increased. Ninth District--Minneapolis The Ninth District economy grew at a moderate pace since the last report. Increased activity was noted in consumer spending, tourism, residential and commercial real estate and construction, professional services, manufacturing and energy. Mining was steady at high levels, and agricultural conditions weakened slightly. Labor markets continued to tighten slightly since the last report, and wage increases were moderate. Prices generally remained stable. Overall, the partial federal government shutdown had a muted impact on the District economy. Consumer spending increased modestly. Two Minnesota-based retailers reported slight gains in same-store sales compared with a year earlier. Recent sales were down slightly from a year ago at a Montana mall after strong growth in 2012; store managers were cautiously optimistic for the holiday season. A Minnesota-based restaurant chain recently reported that same-store sales decreased slightly. However, respondents to a survey of holiday shoppers in the Minneapolis-St. Paul area by the University of St. Thomas indicated that spending per household will increase by about 8 percent over last year. An auto dealer in Minnesota reported strong vehicle sales during early November. Tourism activity was up from a year ago. A representative of a Minnesota-based travel agency noted that recent bookings for leisure travel during the next few months were up more than 10 percent. October airline boardings at North Dakota's eight largest airports increased 13 percent compared with a year earlier. However, October visits to Glacier National Park were down about 50 percent compared with last year due to the government shutdown. Commercial construction activity continued to grow since the last report. A recent survey of Minnesota building professionals conducted by a trade association noted an improvement in market conditions. More than half of construction respondents to a late-October Minneapolis Fed ad hoc survey reported that they expected to increase capital expenditures in 2014 compared with 2013; the remainder expected level spending. However, in Sioux Falls, S.D., and Billings, Mont., the value of October commercial permits decreased from a year ago. Residential construction activity increased. In the Minneapolis-St. Paul area, the value of October residential permits grew by 20 percent from October 2012 to $195 million. However, the value of October residential building permits in Sioux Falls and Billings fell from 2012. Activity in commercial real estate markets increased since the last report. The University of St. Thomas semiannual survey (November) of 50 Minneapolis-St. Paul commercial real estate leaders noted higher rent, occupancy, land prices and building material costs. A large real estate consulting firm reported that demand continues to outpace new building of industrial space, while vacancy rates are expected to continue to decline. Residential real estate markets experienced slight growth since the last report. In the Sioux Falls area, October home sales were up 9 percent, inventory was down 4 percent and the median sale price increased 4 percent relative to a year earlier. Meanwhile, October home sales were down 2 percent from the same period a year ago in Minnesota; the inventory of homes for sale increased by 7 percent, and the median sale price rose 12 percent. In La Crosse, Wis., October home sales and the median price declined from October 2012. Recent activity at professional business services firms increased since the last report. In the aforementioned survey of building professionals, 53 percent of engineers and architects reported improving conditions compared with 11 percent who saw declines. A Minnesota business consulting firm said that demand has picked up recently, particularly since the end of the government shutdown. A web technology firm noted that demand was strong and that profit margins were good. An environmental engineering firm expected its business to continue to grow. Recent corporate travel was up from last year, according to a Minnesota-based travel agency. The manufacturing sector saw continued moderate growth since the last report. An October survey of purchasing managers by Creighton University (Omaha, Neb.) indicated that manufacturing activity increased in Minnesota and the Dakotas. Preliminary results from the Minneapolis Fed's 2013 survey of manufacturers indicated that respondents on average expect orders, production, employment, investment and profits at their operations to increase in the coming year. A furniture maker began a major expansion at a Wisconsin plant. A producer of agricultural material handling equipment announced an expansion of a South Dakota facility. However, several producers of agricultural equipment noted a reduction in new orders. Activity in the energy sector increased moderately, while mining was steady at a high level. Late-October oil and gas exploration activity was flat in North Dakota and fell slightly in Montana from a month earlier. Production remained at record levels. Construction of a refinery began on an Indian reservation in North Dakota. Regulators approved construction of a large wind farm in North Dakota. October production at District iron ore facilities was up slightly from a year earlier. Activity at Montana precious metals mines was solid; a new gold mining operation was planned at one site, while another operation sought to extend its permit. The agriculture sector saw slight contraction. In the Minneapolis Fed's third quarter (October) survey of agricultural credit conditions, 28 percent of lenders reported that farm incomes decreased from the second quarter, while 15 percent reported increases; nearly half expect incomes to decrease in the final three months of 2013. October prices received by farmers decreased from a year earlier for wheat, corn, soybeans, milk, eggs, turkeys and cattle; prices increased for chickens, calves, hogs and dry beans. An early-October blizzard in western South Dakota killed an estimated 15,000 cattle there. Drought conditions abated in most of the District in late fall. Labor markets continued to tighten slightly since the last report. According to respondents to a Minnesota construction industry survey, 38 percent expect to expand staffing levels in 2014, while 12 percent expect layoffs; last year, 31 percent expected to hire more workers, while 18 percent expected layoffs. In Minnesota, a countertop manufacturer plans to hire more than 100 employees over the next six months and a food manufacturer had more than 30 positions open. A South Dakota manufacturer recently announced plans to add up to 20 more workers. However, a Minnesota-based retailer recently laid off about 150 corporate employees as part of a restructuring plan, while a paint company in Minnesota laid off 25 employees. Overall wage increases were moderate. According to preliminary results of the aforementioned survey of manufacturers, respondents expect to increase wages by 2.2 percent in 2014. However, an eastern Montana contact reported that salaries there have increased at a faster pace for mechanics, truckers and information technology workers. Prices generally remained stable with some exceptions noted. Mid-November Minnesota gasoline prices were down more than 20 cents per gallon compared with early October. Several metals prices decreased over the past month. Home heating costs for natural gas are expected to increase almost 15 percent compared with last winter. Tenth District--Kansas City The Tenth District economy continued to grow modestly in November. Consumer spending increased slightly, with retail stores moderately optimistic about future sales, and energy activity remained solid. District manufacturing activity grew further, and transportation firms reported a slight uptick in shipments. Commercial real estate activity strengthened slightly, and bankers noted steady loan demand, better loan quality, and stable deposits. Residential sales and construction slowed somewhat but remained slightly above year-ago levels, while high-tech firms reported some moderation in sales growth. District farm incomes fell due to a considerable drop in crop prices, which also increased operating loan demand. Prices were up slightly in most industries, while wage pressures were contained outside of a few skilled positions. Consumer spending increased modestly from the previous period, and contacts were cautiously optimistic heading into the holiday season. Retail sales edged higher from the previous survey and were up considerably from a year ago. Several retailers noted strong sales of sportswear and appliances. Expectations for future sales rose, and store inventories increased moderately. Auto sales were flat in November, and future sales were expected to remain unchanged. Contacts said sales were strongest for small SUVs and pickup trucks, while sales of large, full-size vehicles remained weak. Auto inventories increased, although many dealers expected levels to stabilize somewhat in the next three months. Restaurant sales edged down, but activity remained similar to last year. Many contacts noted an increase in food costs and uncertainty about the future expense of employee health care. Tourist activity remained sluggish, although occupancy rates improved at a few hotels. Tourism contacts were slightly less optimistic about future activity. District manufacturing activity continued to grow at a moderate pace in November. Production at durable goods-producing plants grew more slowly than in the previous survey, but production of nondurable goods products picked up, particularly for chemicals and plastics. Employment conditions improved, with several respondents indicating plans to hire more skilled workers. Manufacturers' capital spending plans remained solid, and overall expectations for future activity increased from the previous survey period. Transportation activity edged higher, and several firms reported strong shipments of perishable food products. Expectations for future transportation activity improved slightly from the previous survey, while capital spending plans were mostly unchanged. Sales growth among high-tech firms moderated somewhat but was positive overall, with several firms citing a reduction in government contracts due to sequestration and the government shutdown. However, expectations for future high-tech activity increased, and capital spending plans were generally favorable. Residential real estate activity slowed somewhat but remained stronger than last year, while commercial real estate conditions strengthened slightly. Housing starts were flat since the previous survey, although activity was still higher than a year ago. Expectations for future homebuilding remained upbeat, but a few builders noted difficulties finding qualified workers. Sales at construction supply firms rose and many firms were optimistic about future activity. Home sales slowed in November, though activity remained slightly better than last year and inventory levels decreased. Some contacts attributed the slowdown to inventory shortages and the upcoming implementation of new qualified mortgage standards. Residential realtors noted positive sales of low to mid-range properties, but said higher priced homes over $400,000 sold poorly. Expectations for future home sales eased slightly, but prices were generally rising and expected to increase further. Mortgage lending activity remained weak, as both home purchase and refinancing loans slowed further. Commercial real estate activity grew modestly, and contacts were increasingly optimistic heading forward. Vacancy rates edged down, and absorption rates rose in some cities. Office prices and rents increased at a slower rate than the previous survey, although further increases were anticipated in coming months. Bankers reported steady overall loan demand, improved loan quality, and stable deposit levels in November. Respondents reported increased demand for commercial and industrial loans and commercial real estate loans, and steady demand for consumer installment loans. Demand for residential real estate loans declined during the survey period. Bankers reported improved loan quality compared to a year ago, and nearly all bankers expected the outlook for loan quality to either improve or remain the same over the next six months. Credit standards remained unchanged in all major loan categories, and respondents reported stable deposits. Energy activity remained solid in November. Oil rigs increased slightly in the District, particularly in Wyoming, while natural gas rigs held steady. Natural gas prices remained low, although several contacts expected higher prices in coming months due to the expected colder winter. Crude oil prices moderated slightly from the previous survey, but remained generally strong. Several contacts noted increasing U.S. supply, lower global demand, and easing sanctions in Iran could constrain oil prices heading forward, although most producers expected prices to remain high enough to spur further drilling in the months ahead. A steep drop in crop prices, which partly reflected better-than-expected corn and soybean yields, lowered District farm income and boosted demand for farm operating loans since the last survey period. Some livestock operators in Western Nebraska also faced significant herd losses due to a severe October snowstorm. Farm income was expected to remain weaker than last year despite some support from crop insurance and a gradual improvement in livestock sector profitability resulting from lower feed costs. With reduced incomes, agricultural bankers reported the number of requests for loan renewals and extensions edged up and demand for new farm operating loans also increased. Farmland values rose further, but the pace of gains moderated and most contacts expected values would hold steady through the end of the year. Prices rose modestly in most industries, and wage pressures were largely contained outside of a few skilled positions. Retail prices remained flat and were anticipated to be generally steady heading forward. Prices of manufacturing materials grew slower than in the previous period, and fewer firms planned on raising selling prices. Transportation firms reported slightly higher input prices, and restaurants noted rising food costs and menu prices. Construction materials prices moved higher, particularly for concrete and drywall, and selling prices increased at most supply firms. Many contacts noted concerns about future costs from new health care and other types of regulations. Wage pressures increased slightly but were still generally contained in most industries. Some firms reported continued difficulties in obtaining skilled labor, such as truck drivers, construction workers, and machinists. Eleventh District--Dallas The Eleventh District economy expanded at a moderate pace over the past six weeks. Manufacturing activity increased overall, with demand weakening in only a few industries. Retail sales picked up over the period, but automobiles sales were slightly down. Nonfinancial services firms reported steady to somewhat improved demand. The housing sector softened due to seasonal factors and rising home prices, and apartment, office and industrial leasing activity remained strong. Loan demand softened at financial institutions. Energy activity remained strong, and drought conditions in the agricultural sector continued to ease. Prices were unchanged or increased mildly at most responding firms, and employment held steady or rose modestly. There were scattered reports of pay increases and wage pressures. Industry outlooks were generally more positive during the reporting period. Responding firms said prices were stable to up slightly over the reporting period. Some manufacturers noted price increases in primary and fabricated metal and food products. Price reports from retailers were mixed. One retail contact increased prices very modestly. Another firm reduced selling prices somewhat in an effort to bring holiday demand forward due to the short season this year. Automobile prices were stable. Home prices remained elevated and contacts in the apartment industry said rents continued to rise at a strong pace. Airline contacts noted moderately lower fuel prices, but said fees continued to increase. One airline respondent said ticket prices were trending up. Agricultural contacts reported that cattle prices hit record highs. Changes in energy prices were mixed; the price of West Texas Intermediate crude oil declined somewhat, while natural gas prices moved up slightly from the last reporting period. Gasoline and diesel prices fell modestly. The price of natural gas liquids, a feedstock for many chemicals, increased over the past six weeks. Employment levels were steady to up slightly at responding firms. Retailers said employment was up since the previous report. One retail firm was hiring in line with expanding operations, and another said payrolls were rising due to holiday hiring, which was stronger than last year's hiring. Fabricated metals producers added employees, and contacts noted some pressure on wages. Food producers were hiring, partly due to turnover. Refining and petrochemical contacts reported extreme difficulty finding engineers and construction laborers for current and proposed facility expansions, and noted a continued rise in wages. Homebuilders also noted a shortage of construction workers and said labor costs were rising. There were additional scattered reports of wage pressures. High-tech producers noted wage pressures for workers with certain high-demand skills such as electrical engineering. Accounting firms were actively seeking high-skilled workers, with some higher wages being offered. Producers of construction-related products said demand was mostly stable to up slightly. A lumber producer said that while demand increased in October, it had weakened in the past two weeks. Firms noted this year did not meet expectations but were positive in their outlooks for 2014. Fabricated metals producers said demand continued to rise at a strong pace and the outlook for sales was highly positive. Most primary metals contacts said demand was steady, ignoring seasonal effects, and outlooks for 2014 were somewhat more optimistic. Demand increased for food producers, while paper industry responses were mixed, with some contacts noting better than expected sales and some not meeting demand expectations. High-tech manufacturers said demand was flat to modestly weaker over the past six weeks. Industrial sector orders for semiconductors weakened, although overall the sector remained one of the largest drivers of growth. Demand for memory chips continued to improve while orders for logic devices continued to soften. Respondents expect a gradual increase in demand over the next three to six months. Chemical production in the Gulf Coast grew in aggregate over the past six weeks, but at a slower pace than earlier in the year. Refinery utilization rates softened seasonally with the onset of the fall maintenance season. The change to winter fuel standards is pulling down prices, but refiner's margins remain healthy. Retail sales were up during the reporting period, and year-over-year demand growth remained in the low-to mid-single digits. One national retailer reported that Texas continued to outperform the nation. Strength was noted in luxury goods, and inventories were at desired levels. Outlooks for the rest of the year were positive. Automobile sales were down slightly this reporting period, which contacts attributed to lack of consumer confidence and continued uncertainty. Inventory reports varied by manufacturer, with a few contacts noting inventories were higher than desired. Contacts' outlooks for the remainder of the year were optimistic, and they expect 2014 to be better than 2013. Staffing firms said demand was generally flat. One firm noted better retail demand than usual this time of year and another noted shortages in nursing and aerospace engineers. Demand was down more than expected for call center hires and for workers at warehousing and distribution companies. Most contacts noted improved 2014 outlooks. Accounting firms said demand remained strong with seasonal increases over the past six weeks. Business relocations to Texas fueled demand, and outlooks remained positive. Legal firms noted a slight improvement in demand during the reporting period, in part due to seasonal factors. Intellectual property litigation continued to increase and real estate transactions were slightly higher. Outlooks were somewhat more optimistic. Transportation service firms said cargo demand was mixed. Intermodal transportation firms and small parcel shipping firms noted flat cargo volume over the past six weeks, although retail trade and e-commerce remained drivers of growth. Railroad contacts said U.S. cargo volumes grew strongly during the reporting period and noted chemicals shipments were robust. Air cargo volumes decreased somewhat and were down from a year ago. Airline reports were mixed. One contact noted that demand increased slightly in the past six weeks, somewhat due to seasonal factors but also to the end of the partial government shutdown. Another respondent said demand was softer since the shutdown. With the exception of concerns about the impact of a pending second round of sequestration in early 2014, outlooks were positive. The Eleventh District housing sector softened during the reporting period. Contacts said the slowdown was partly due to seasonal factors. However, last year at this time there was no seasonal slowdown, thus contacts were somewhat cautious. Some of the weakening in sales and traffic was attributed to recent large increases in new and existing home prices. One homebuilding contact said the lull will give builders a chance to catch their breath. There is still very little inventory of new homes and most are already sold, and the forecast for single-family construction activity is positive. Despite the slowdown, contacts were optimistic in their outlooks. Apartment demand was mostly unchanged from the last report. Most major Texas markets were seeing sizable demand that is outpacing completions, yielding occupancy and rent growth well above the long-term norm. Commercial real estate respondents said tenant demand remained at a steady pace for industrial and office space. A Dallas contact said construction of office, industrial and retail space was picking up. A contact noted Houston may be close to having too much office development in the works. Overall, the outlook remained generally positive. Loan demand softened across most lines of business in the past six weeks, according to financial contacts. Mortgages and auto lending remained relatively level, and refinancing continued to decline. Loan quality continued to modestly improve, and loan pricing remained very aggressive amid increasing loan supply. Deposit volumes increased moderately with no change in deposit rates. Most contacts were hopeful that loan demand will improve, but no changes are expected for the remainder of the year. Demand for oil-field services was steady despite the slight decline in the rig count as the number of wells drilled per rig continued to improve. Activity in Texas was particularly strong, both inland and offshore, according to respondents. Oil and gas extraction firms expect further growth in 2014. Drought conditions continued to ease, although the Texas panhandle area remained particularly dry. Corn and sorghum production was higher, while cotton production was down. The livestock sector continued to benefit from improved pasture conditions, lower feed costs, and high selling prices for cattle. Twelfth District--San Francisco Economic activity in the Twelfth District expanded at a modest pace during the reporting period of early October through late November. Price pressures were limited for most final goods and services, and upward wage pressures remained quite modest overall. Retail sales were a bit soft, while demand for business and consumer services was mixed. District manufacturing activity picked up. Sales and production activity in agricultural and resource-related industries expanded. Demand for residential real estate expanded on net, and commercial real estate activity improved. Reports from financial institutions indicated that loan demand edged up. Price pressures were limited for most final goods and services. Among food products, contacts noted relatively large price gains for pork and shrimp but sustained price decreases for beef. In line with the rapid expansion of the cloud computing segment of the technology industry, contacts perceived strong downward pressure on prices for cloud-related services. Legal fees were mostly flat. Prices of some construction inputs, including insulation, wood, and roofing materials, continued to increase rapidly but remained at relatively low levels. Most contacts indicated that they expect prices at their firms to be the same or higher in 2014 compared with 2013. Upward wage pressures remained modest overall. However, contacts from various industries noted above-average wage growth for certain highly skilled workers. Overall wage growth in the technology sector was strong, particularly for software developers. Contacts in California's restaurant industry projected higher labor costs as the state's minimum wage increases take hold over the next few years. Retail sales were a bit soft. Most contacts indicated that they expect this year's holiday sales to be about the same or a bit higher relative to last year. Contacts pointed to slow sales of certain electronic items including televisions, personal computers, servers, and digital cameras. Demand for information technology (IT) security and cloud computing software was notably strong. Retail grocers noted the possibility of aggressive and earlier-than-usual promotions during the holiday season. Department store contacts observed a trend of robust online sales and soft in-store sales. Auto sales remained at a high level, although contacts noted that the market for high-mileage used vehicles slowed. Demand for business and consumer services was mixed. Reports from the technology industry indicated robust demand for IT services. Restaurant industry contacts again experienced weaker same-store sales in the quick-service and casual dining segments of the industry, and they do not expect sales to pick up in the near term. Travel and tourism activity in Hawaii maintained its solid pace of growth. Activity remained relatively weak in the Las Vegas tourism industry, and contacts pointed to a moderate year-over-year decline in automobile traffic in the region. District manufacturing activity picked up somewhat during the reporting period of early October through late November. Driven by demand for mobile technology products, business conditions in the semiconductor industry improved. The aerospace industry in the Pacific Northwest remains poised for growth, with a large backlog of orders for commercial aircraft. Providers of pharmaceuticals described innovative product launches as the force underlying ongoing modest growth in the industry. A wood products manufacturer indicated that their capital spending was up in response to stronger demand for final goods. Steel producers reported that overall capacity utilization was mostly stable, noting stronger conditions for manufacturing of automobile and aircraft-related inputs than for nonresidential construction inputs. Output in agricultural and resource-related industries expanded on balance. Demand remained strong for most crop and livestock products, although weaker commodity prices caused some contacts to pare back their expectations for production activity in 2014. Water resources were sufficient in most areas. Overall demand for oil products edged down compared with the previous reporting period, and refinery utilization rates--although remaining at historically high levels--declined slightly as well. Year-over-year total refinery inputs and gasoline production activity both increased. Contacts noted increased development of wind and solar energy production facilities. Reports indicated that sales of electricity and gas to businesses increased, and contacts expect growth in industrial activity to persist in the near term. Demand for residential real estate expanded on net, and commercial real estate activity improved. Home prices moved up further across the District. However, contacts reported the pace of home sales slowed somewhat in parts of California and dropped off substantially in Idaho. California contacts noted robust sales activity in the market for extremely high-end homes. Residential permit issuance expanded in several regions, an encouraging sign for sustained growth next year. Construction activity appeared to increase on net, but was held back by labor shortages in some areas. Several new large construction projects broke ground in parts of Hawaii, California, Washington, Oregon, and Idaho. Technology firms continued to drive demand for commercial real estate in the San Francisco Bay Area and Seattle. High prices for commercial real estate in downtown San Francisco spurred some firms to migrate to more affordable areas of the region. Reports from financial institutions suggest that overall loan demand edged up. A few contacts mentioned that asset quality improved and some banks have eased their credit requirements. Contacts indicated that financing for construction projects made up a significant share of overall loan growth in parts of the District. Some slower growing regions experienced tepid growth of business investment that held back the pace of lending. In addition, some contacts noted that an uncertain fiscal policy environment has eroded business confidence and has led to softer demand for credit. Reports continued to highlight ample bank liquidity and substantial competition for high-quality commercial borrowers. In the District's Internet and digital media sectors, mergers and acquisitions activity grew at a steady pace. The pace of initial public offerings normalized after a surge of activity between mid-August and mid-September. Venture capital activity in the third quarter grew in terms of both deal value and volume relative to the second quarter. Private equity financing activity waned.